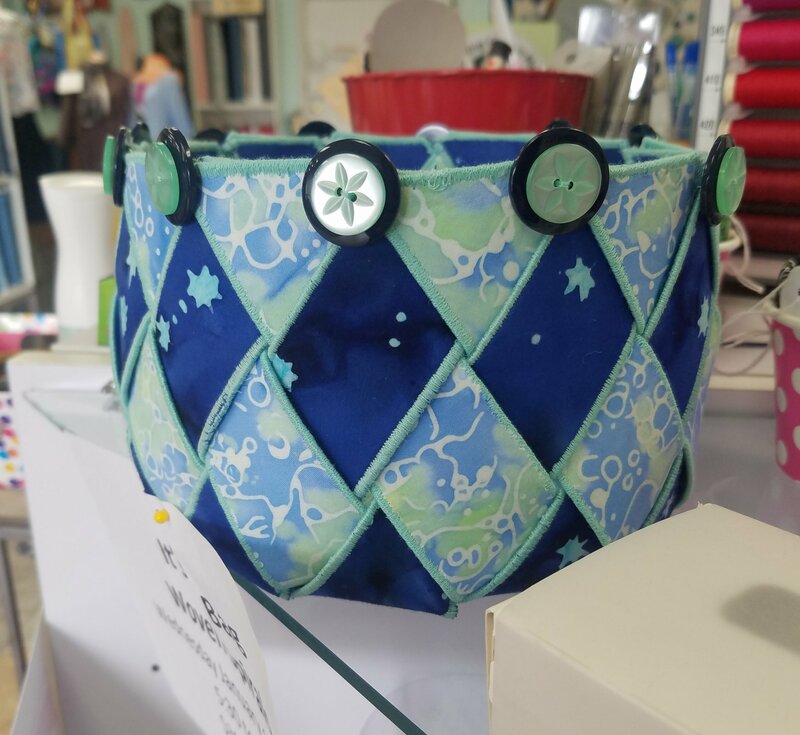 Choose your two favorite fabrics to make this unique decorative bowl, then add some fun buttons for the finishing touch. Batiks actually work better for this project because they don't fray as much. Materials listed on pattern. Carol made a plastic template of the "star" which you can use in class, so the freezer paper isn't necessary. Please have your fabrics fused to the interfacing before class starts.